Many consider the skin on our faces as one of the most sensitive parts of the body, and yet it is one of the most exposed. Our face is exposed daily to harmful UV rays from the sun, pollution from different sources in our surroundings, and can even be affected by internal factors such as stress. Because of its inherent sensitivity, many beauty experts are deeply concerned about whatever product goes on their face. It really pays to know what ingredients go on our skin to keep our faces looking young and revitalized. Because using strong chemicals can be very detrimental to our skin and may do us more harm than good in the long run. This has led more people to search for natural beauty products that are made from food material or organic sources to ensure that it does not negatively impact those who use it. One of the materials that is gaining popularity with the beauty-conscious is peptides. One of the ingredients that has been gaining popularity among the beauty conscious is peptide. Peptides are a type of amino acids, often regarded as the building block of protein which makes up our skin. Peptides, specifically, are short chain amino acids. And because peptides are smaller and shorter they are perfect to be applied directly on our skin because it can go down to the deeper layers of the skin and aid in skin rejuvenation and regeneration. Different types of peptides can help in addressing some of the most common skin problems, from effectively smoothing out wrinkles, increasing firmness and hydration, to repairing the skin's natural barrier functions—peptide is a very potent ingredient. This regenerative power of a proprietary blend of advanced peptides is now available here in the country through DERMAX Professional. DERMAX Professional comes in an airless injection packaging in two variants: anti-aging and whitening. 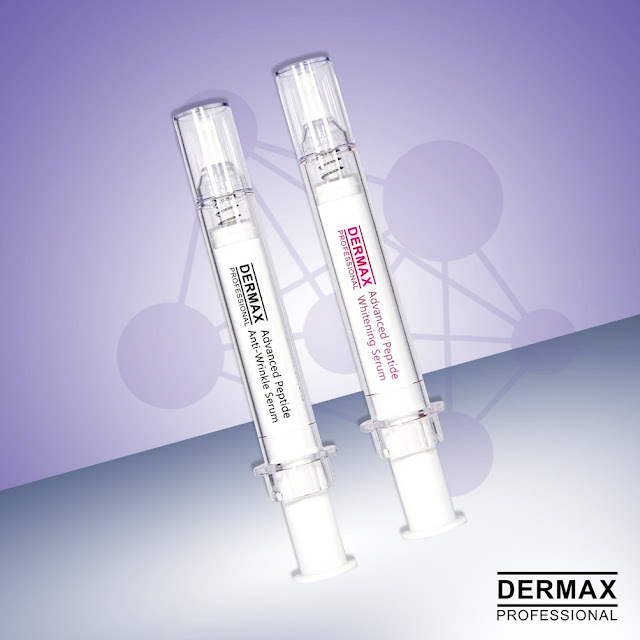 DERMAX Advanced Peptide Whitening Serum lightens the skin through a proprietary blend of advanced peptide complex with whitening and antioxidant ingredients that promise to even out skin tone while enhancing protection of the skin. 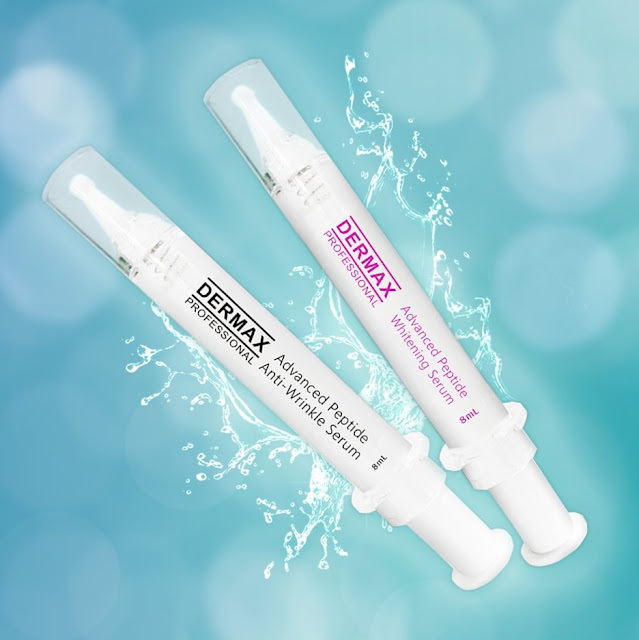 Meanwhile, DERMAX Advanced Peptide Anti-Wrinkle Serum has advanced peptide complex partnered with protective ingredients that help in regaining skin elasticity and boost the natural production of collagen. For more information regarding DERMAX Professional, visit SkinStation or DERMAX Laser Center branches nationwide. Labels: DERMAX Advanced Peptide Whitening Serum, DERMAX Professional, peptides.